La Brioche is the cutest and most delicious French patisserie definitely in Mississippi and I would go so far to wager that it's the best in the South. Every time I walk through the orange doors my eyes light up at the swoon-worthy display case overflowing with treats. Oh and the smell. It smells AMAZING. It's definitely a treat for all the senses when I get to go to La Brioche. Before I continue, yes, I eat Keto and do Intermittent Fasting. Everything I'm going to show and share with you about our experience is NOT Keto. But, because I'm a human and not a robot, I fully enjoyed every bite of food I ate and did not let this experience derail me from my progress and commitment to the Keto Way of Eating. Having a healthy relationship with food doesn't mean that you demonize food and can never consume anything that's off plan. It means that you are in control over yourself and your cravings and are able to enjoy occasional delicacies without taking 5 steps back. Luke was leaving that afternoon for a weekend work trip/visit to one of our greatest couple friends, Chandan and Laura Bangar, and get a behind-the-scenes look at how Production operates at their church. So, we were making the most out of our morning together! To me, this display cabinet of goodies is the ultimate splurge food. Everything is carefully made with such care and you CAN TELL. I ordered a ham and cheese soufflé, Luke ordered a ham and cheese croissant, and we split a chocolate almond croissant. It was pure heaven. Even better than the delicious treats was our conversation. When you're at home in your everyday routines, it's easy to talk about the same things over and over or not really talk about anything. It's always a good move for us to break up our patterns, go somewhere out of the ordinary, and get into a new setting. For Luke and me, that's when we have the best conversations! We talked through what God has been showing us individually, checked in with each other and how we're doing with our Adoption waiting, and shared dreams of our our future family will be like. It was the perfect way to send him off, connected together on a soul level where he knew everything I was thinking and feeling and I knew the same about him. Even though we can't have a La Brioche date every week, it's somewhere special we can go to get out of our ordinary, indulge in perfect pastry, and have soul-deepening conversation. I hope that you have places like that with the people you care about the most. With the premiere of HGTV's newest show, Home Town (Tuesday nights! ), my humble hometown has become the center of attention. I see article after article highlighting not just the show and the hosts, Erin & Ben (who are amazing! ), but the town as a whole. It's crazy to watch your hometown be revitalized on national tv! I'm so thankful for all of the new businesses popping up around downtown and the energy and love that's filling the previously abandoned buildings. The flagship store of, Home Town, is quickly becoming one of our favorite places in all of downtown. Every piece of inventory and every display is perfectly styled to be cozy, homey, and friendly (my three favorite feelings!). Luke and I love looking through the displays and smelling the candles. We have the Laurel Candle and it's the perfect scent for springtime! Luke ALWAYS has to look at the Scotsman products. I shared in an earlier blog that he wears the Scotsman cap every day. He now has 2! The Southern Antique Mall is a long-time favorite shop. There are SO many beautiful things in this 2 story shop. Everything is beautifully styled and thoughtfully arranged. It's an inspiring place to walk in! FYI - this is not an actual antique store. Don't come here planning to go junkin' for thrift store pieces and prices. It's an actual shop with beautiful things for your home, clothes, accessories, kitchen items, and pretty much everything else. They ALWAYS have the most beautiful Christmas displays! I LOVE popping into Adam Trest Home to see long-time friends, Adam and Lily! 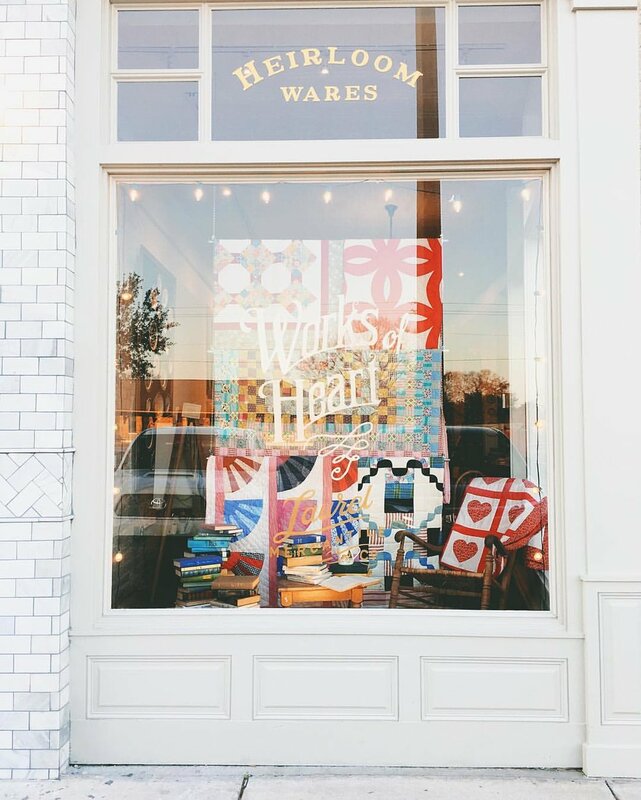 Their store is perfectly curated with drool-worthy home goods for every room in your home. Adam and Lily have flawless taste and it's on display in their magnificent store. Adam is an incredibly talented artist and his designs are simply stunning! Also, this building has insanely beautiful floor tile. Far and away the best cup of coffee you can get in Laurel. I was in college when Lee's opened downtown. It's so cool to see a business start and thrive! I had to snag this photo from the Lee's Facebook page. The picture I took, didn't turn out super well #notaphotographer. Anyways, the food here is great, the coffee tastes good, and it's in a prime location for downtown walking! While you're downtown, drive over a couple of miles to go to PDI's for a cheeseburger and fries. PDI's was my Papaw Alvis' favorite burger place. Actually, it's everyone's favorite burger place. It's been around for forever and there's nowhere to sit, but you don't care because the food is that good! Go here for Cinnamon Rolls and Sticky Buns. No need to elaborate. They're amazing. Be a tourist and take your picture in front of this awesome wall! There are really great murals all over town, too! I'm going to break this up into a few different posts. There are some new to me places, that I want to learn about and try and there are new businesses popping up all over the place! Stay tuned for Part 2! 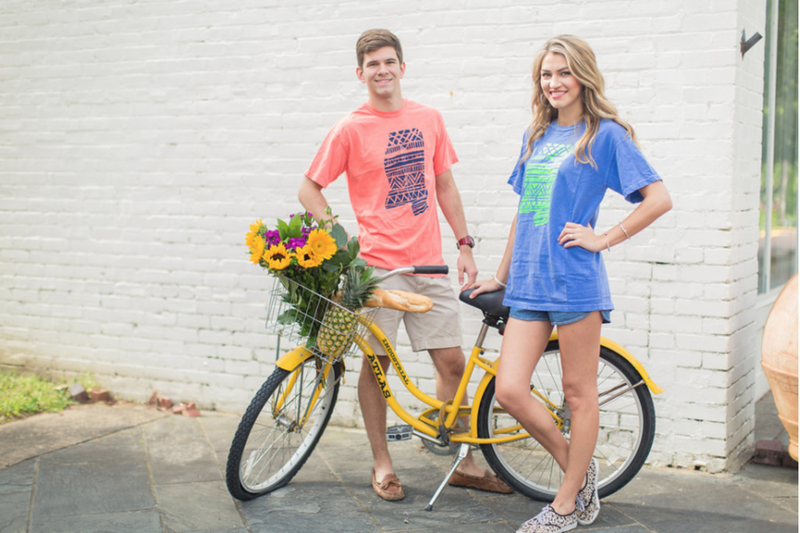 Not only is Mississippi home to the friendliest people, but some of the most talented makers! I love the "do-it-yourself" attitude of the creative community in my favorite state. Today, I wanted to share some of my favorite products that I've purchased (and LOVE) or want to purchase from local businesses. 1. The Day Dreamer by Thimblepress (Jackson, MS). I love basically everything that comes out of Thimblepress. Kristen Ley is a true visionary and one of the kindest ladies I've ever met. I have a TON of Thimblepress products that I love and use (daily! ), but the Day Dreamer is my favorite. It's like a mega to-do list that totally fits my scattered brain. And it's the perfect size -- HUGE! 2. 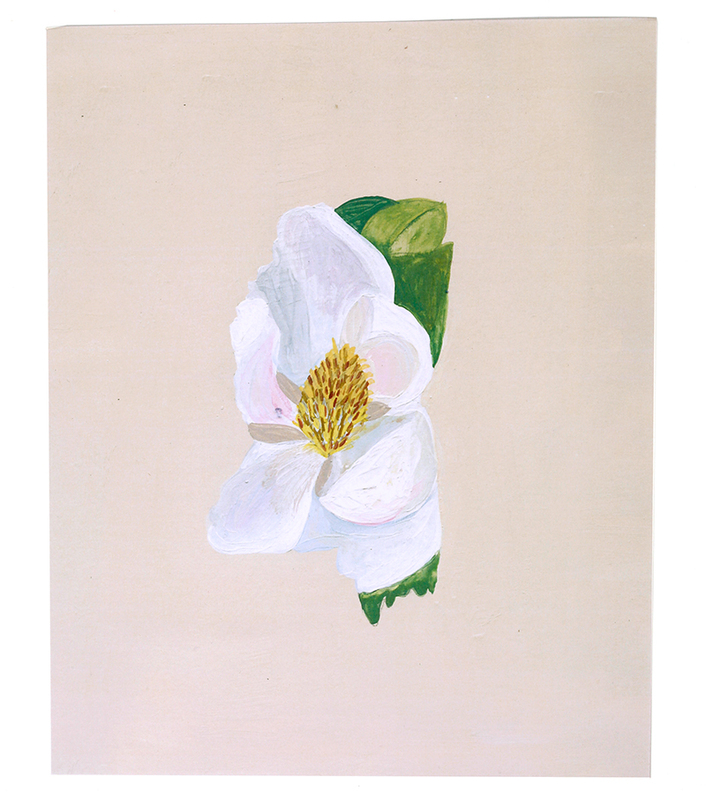 Mississippi Magnolia State Flower Print by Thimblepress (Jackson, MS). I would LOVE to see this beauty every day. Putting this on my wishlist! 3. 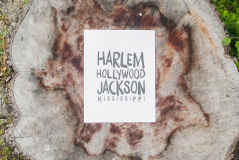 Harlem Hollywood Jackson Mississippi print by Edward Moak Designs (Clinton, MS). I smile every time I see this print. We forever thankful to Bruno Mars for giving us a shoutout in Uptown Funk! 4. Aztec Mississippi T-shirt by Edward Moak Designs (Clinton, MS). I definitely own this shirt in both colors. Edward is super fun and creative! 5. Borderland Candles (Brandon, MS). We met the couple behind the company at one of the local vendor markets. They're so kind! We've owned a few different scents and they are all amazing. They last a long time and the scents are perfect! 6. 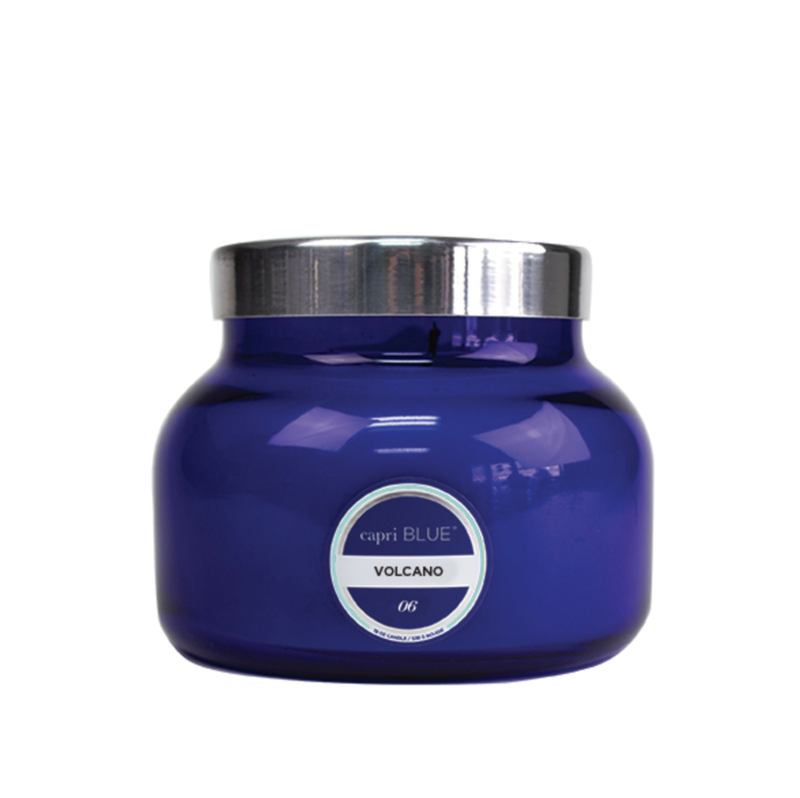 Capri Blue Volcano Candle (Starkville, MS). These are the best smelling candles in the whole world. No debate. 8. Floral Paintings by Kate Freeman (Jackson, MS). Kate Freeman is my favorite local artist. Her paintings are full of color and are perfection on a canvas. I own one of her paintings and I stare at it for at least 5 minutes every day (It's the cover photo of this post!). 9. 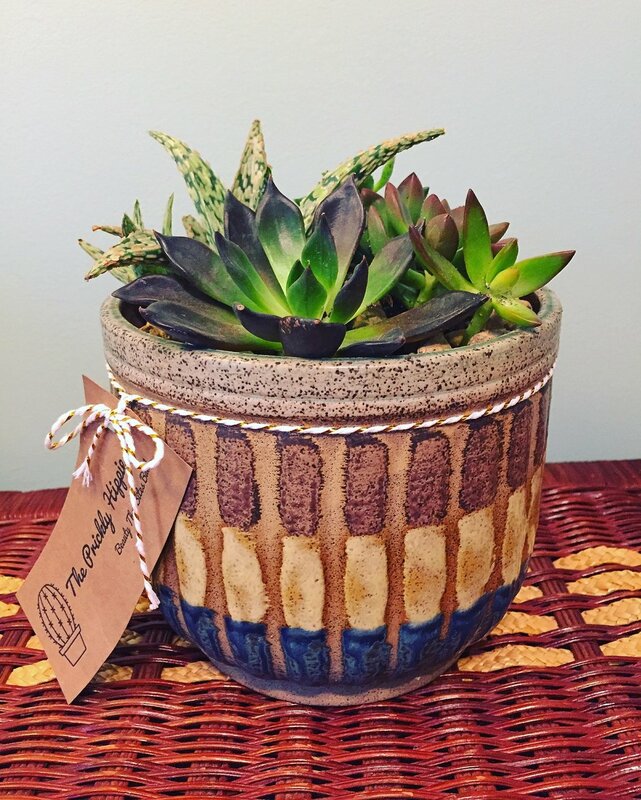 Succulent planter by the Prickly Hippie (Ridgeland, MS). I LOVE plants, but have a hard time taking care of them and planting them. Thankfully, I can look to my friend, Jenni, to help me out! I got my first Prickly Hippie arrangement at a local market a couple years ago! There are SO many creative and talented people in our great state! I love supporting local vendors and makers. Hopefully, you do too! I plan to continue exploring Mississippi Makers and hopefully this post is volume 1 of many! What are your favorite Mississippi-based products? I'd love to know!